Makes cutting easy, even while sitting down! 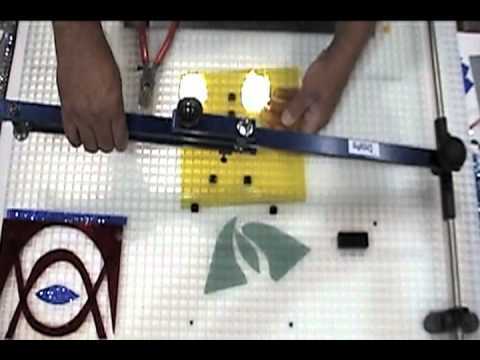 Save glass and get accurate cuts every time! 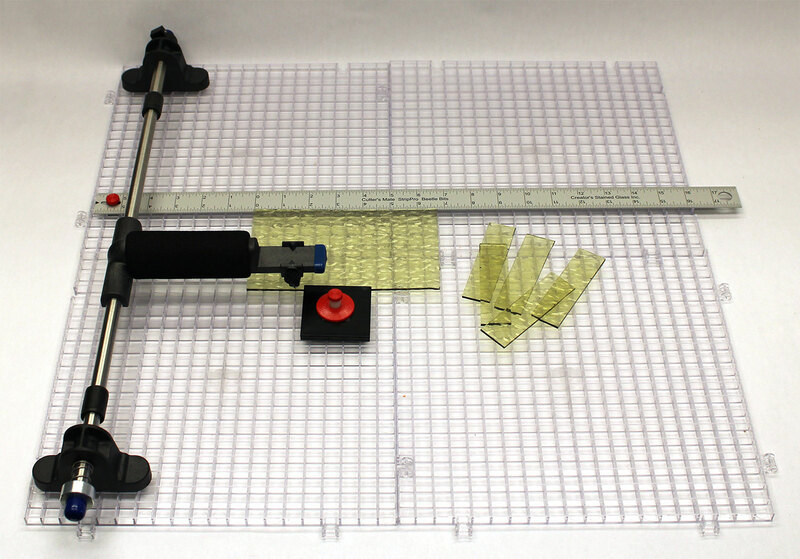 Get the best glass cutting tools in the industry all in one package! 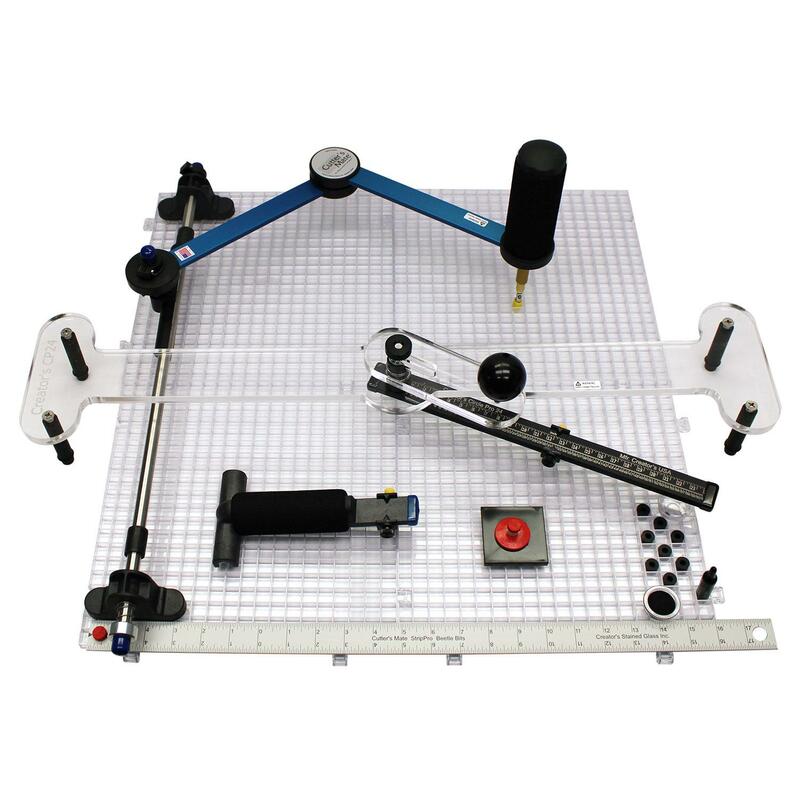 Includes the standard Cutter's Mate (#5112), the Strip Pro attachment (#5118), the Circle Pro 24 (#5128) and the Waffle Grid work surface 6-pack (#5424). 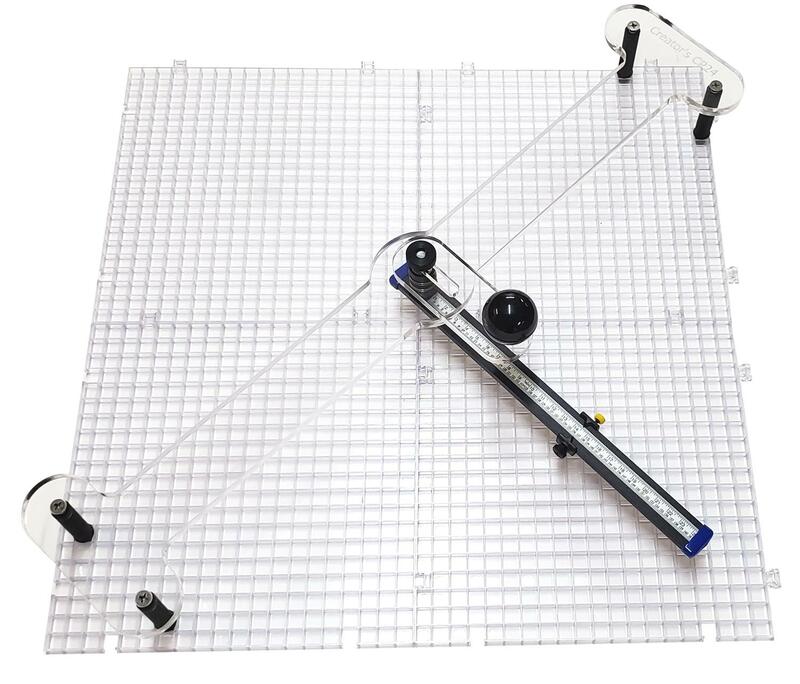 Cutter's Mate: A glass cutter that practically scores glass by itself! 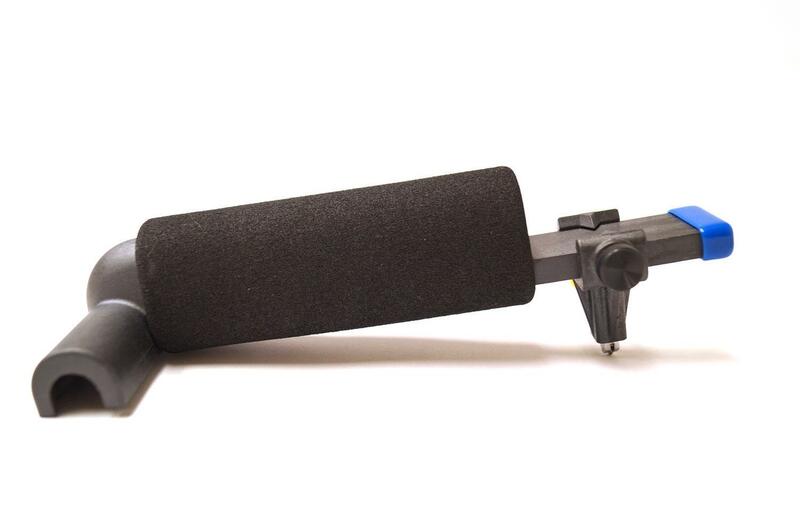 Features foam cushioned, weighted handle that eliminates the strain of grasping a traditional slim cutter. 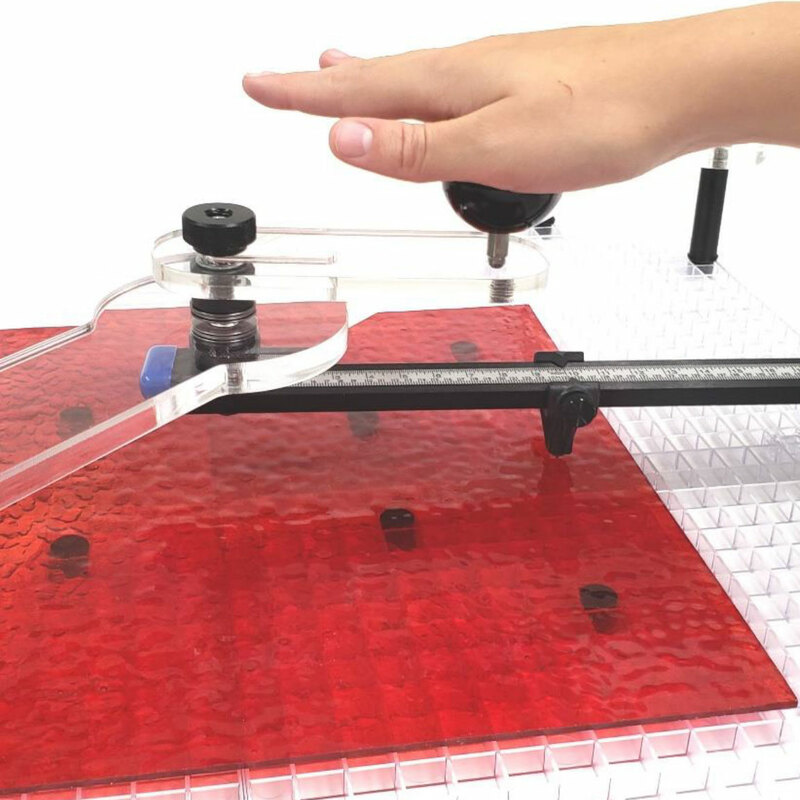 Handle rotates 360 degrees and applies pressure for a perfect score, even while sitting down! 16" cutter arm can score a straight line up to 42-1/2" long. Features the CSG-10 carbide oil-fed cutter head, made in the USA. Also includes rubber feet for use on tabletops. 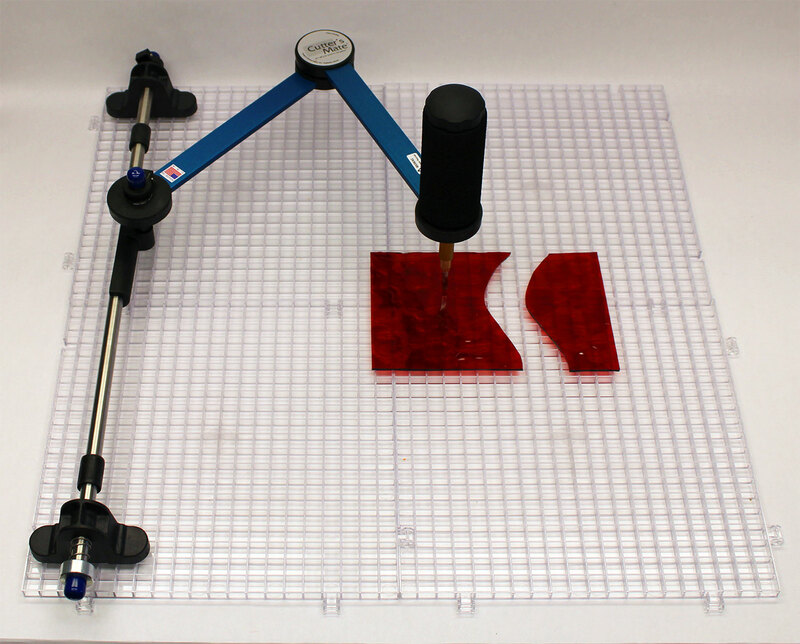 Strip Pro Attachment: Attaches directly to the Cutter's Mate to create perfectly cut strips of glass quickly and easily. 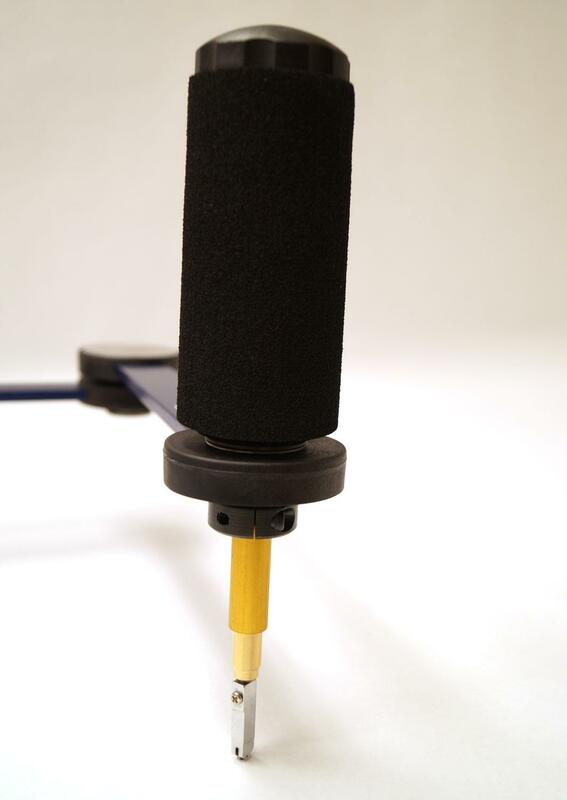 Circle Pro Attachment: Clearly marked and easily adjustable, the swivel handle design makes it easy to score perfect circles from 1-1/2" to 24". Included instructions also show how to cut circle borders from strips of glass, so you can get even more out of every sheet! Waffle Grid Surface 6-Pack: The Waffle Grid's 11-1/4" square interconnecting grids can be used as a work surface to capture glass shards, turned over to use as a tracing surface or constructed into a backsplash. Pros : Makes cutting fast, easy and a breeze. Well worth the investment. Cons : The assembly instructions could be more user friendly. Pros : I have all the extension for the Cutter's Mate and have found it very effective for cutting straight lines. The extension for freehand curves works relatively well also, but not better than any other handheld cutter that I have. The Circle Cutter has had about 50% accuracy. Sometimes I'll get a decent circle, other times the blade or arm will move just so as to not get a nice result, and this is after following all directions and watching online videos to optimize for performance. Great also for catching some of the small pieces that fly off and keep your workspace cleaner. Cons : Not all attachments work as well as you would hope for the price.